Have you just published a new post? Or want a traffic to your blog? Then you might find this list helpful. Yes, this is the list of 10 Best places from where you can get really, really huge traffic. Some of them are in moderation mode so you may have to wait for while to get in the news. But it is worth waiting. I would recommend to submit your post or article to each and every site listed below. I made this list to share some good sites available which always try to give only the best contents to the readers. So I request you to do not spam these sites, or we will loose beautiful contents on the web. Remember that the traffic to your blog strongly depends upon the contents. So if you have excellent contents then submitting it to the following site will definitely make difference. This is the project by Y Combinator, a venture firm specializing in funding early stage startups. Anyone can submit the news here by creating an account. The news can be voted and discussed here. 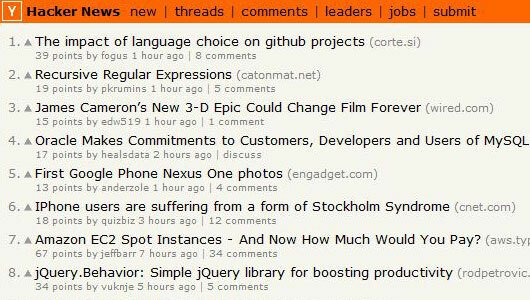 The most active news is moved to front page generating excellent traffic. This is one of the best places to get instant traffic to your blog. This is the Design News & Discussion board by Krop. It has two news sections, Editor’s choice and Public Choice. You can broadcast your post by creating an account here. I got most traffic followed up to this site. This is the best site of its kind. 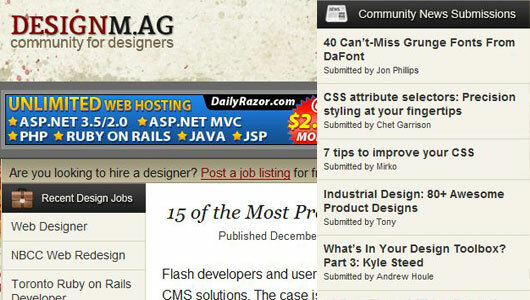 It features excellent articles, resources, tutorials, interviews on the design. You can submit your article here. It takes about 24 hours to appear your post. 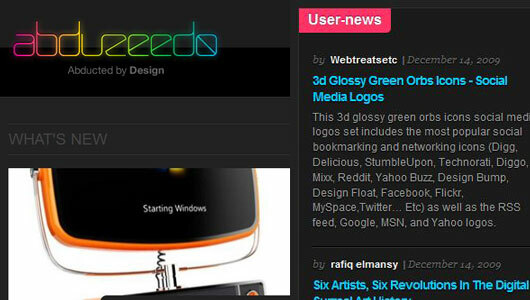 The .NET Award winning magazine for Best Blog is also a good choice to put your news. Although it accepts only the best contents of its niche but the traffic generated is really huge. We all know PSDTUTS, the best blog available for the Photoshop tutorials. The good news is that it also accepts the Link Feeds from the users. You can make use of the huge number of users of the Twitter. Today almost everyone is on Twitter which is good for all of us! Likewise Twitter you can put your status update in the Facebook also. 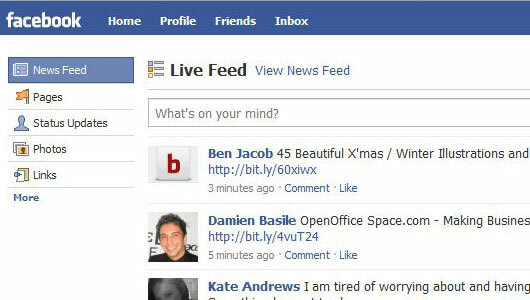 You can also put the links in the Facebook fanpage of your blog. You can stumble your post and share it with your friends. While the above sources generate traffic for a limited time but this site sends traffic even after months of publishing the post. So I guess this is the most important advantage of SU. This is also instant traffic generating site. You have to register yourself before submitting the user news. 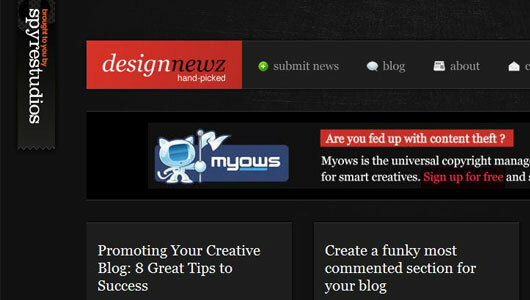 The last but not least is News section of DesignM.ag. I get really amazing traffic from this site. In my blog, I get most traffic from these sites. If you have any other source for this, then please share it with us. We would appreciate it.